Judges overwhelmingly side with police in Chicago misconduct cases. 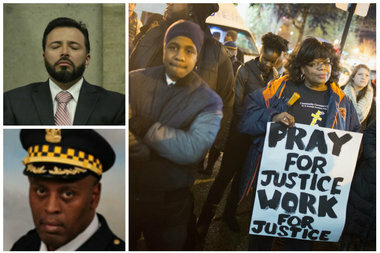 Dante Servin (upper left), Glenn Evans (bottom left) and protesters following the release of the Laquan McDonald shooting video. CHICAGO — On Monday, a Cook County judge acquitted Chicago Police Commander Glenn Evans on charges of official misconduct and aggravated battery, a ruling that dovetails with Chicago's long history of judges siding with officers in such cases. Rickey Williams was 22 when he says Evans shoved a gun in his mouth, held a Taser to his groin and threatened to kill him. But Judge Diane Cannon said Williams was not believable, saying he couldn't identify Evans in a lineup and had changed details of the account over the years. State forensic experts found Williams' DNA on Evans' gun, according to court testimony. But the judge said the DNA was "contact" or "touch" DNA and that Evans could have touched Williams and then his own gun, leaving traces of Williams' behind. A lawyer for Williams accused the judge of "ignoring science," and said the "war" for justice in police brutality cases is not over. It's also not new. Less than 3 percent of misconduct complaints against Chicago Police officers have resulted in disciplinary action being taken. In April, Officer Dante Servin walked away without punishment for shooting and killing unarmed 22-year-old Rekia Boyd, who happened to be walking with a group of friends when Servin fired into a crowd in 2012. Judge Dennis Porter said prosecutors failed to prove that the police detective was acting recklessly in the shooting, and his directed verdict meant that Servin's legal team didn't even have to put up a defense. Porter said that while he had no doubt Servin shot Boyd, he didn't think prosecutors adequately proved that Servin acted recklessly — one of the requirements for finding someone guilty of manslaughter. "It is easy to say, 'Of course [Servin] was reckless. He intentionally shot in the direction of a group of people on the sidewalk. That is really dangerous ... Case closed,'" Judge Porter said. "It is easy to think that way, but it is wrong. It ignores the law on this subject." Rekia Boyd's brother Martinez Sutton, who has led a chorus of protests calling for Servin's firing to no avail, said the judge's decision in his sister's case spoke volumes. "What exactly [does] that tell you? That tells you that anybody with a badge can get away with shooting any one of y'all out here," Sutton said after Servin was cleared. "It's not just about color anymore ... It's people wearing the badge disrespecting [their] badge." Another Cook County judge with a history of clearing officers in midconduct cases is Judge Thomas Gainer. On Thanksgiving of 2007, Officer John Ardelean was reportedly caught on tape drinking at least five shots at the Martini Ranch Bar before driving off and getting into a crash that killed Erick Lagunas, 21, and Miguel Flores, 22. Ardelean allegedly swerved into oncoming traffic at 60 miles per hour and into the victims' car with his SUV. But Judge Gainer said officers who arrested Ardelean had no probable cause do to so, and prosecutors were forced to dismiss the reckless homicide and aggravated DUI charges against him. "It's difficult to watch Ardelean walk out and knowing he's free," said Victoria Lagunas, cousin of Erick Lagunas, told the Sun-Times. "Obviously that man has no heart and no conscience . . . I don't believe he's going to dwell on this." In 2009, Gainer cleared officers Paul Powers and Gregory Barnes and Sgt. Jeffery Planey of all charges in the videotaped beating of two brothers at the Jefferson Tap Bar & Grille in 2006. Gainer said, according to published reports, that the state failed to meet its burden of proof on any of the charges, which included aggravated battery, official misconduct and obstruction of justice. The ruling came despite a surveillance video of the fight (see it above). But a federal jury wasn't so forgiving. 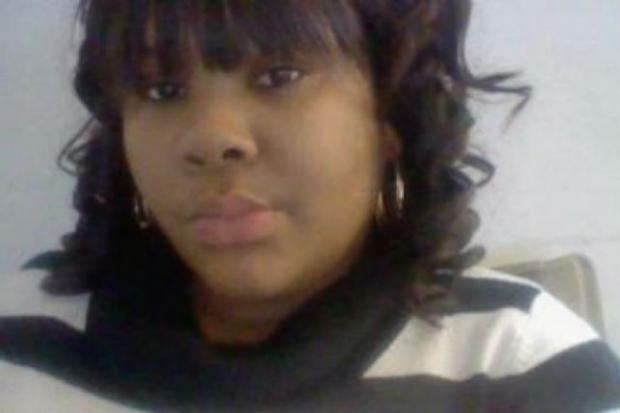 Four of the officers involved in the fight were forced to pay the beating victims $33,700 in 2012, the Tribune reported. Before Servin and Officer Jason Van Dyke, who was charged with murder in the shooting of Laquan McDonald, the last CPD officer to be charged in a fatal shooting was Gregory Becker in 1995. Becker shot and killed Joseph Gould, a Streetwise vendor who asked him for money, and the incident sparked protests similar to the ones Chicago has seen this year following the release of the McDonald video. Becker served four years in prison after a jury found him guilty of involuntary manslaughter and armed violence, but those charges were ultimately overturned by an Illinois Appellate Court and he was freed. In 2009, Anthony Abbate got probation for attacking a female bartender. Cook County Circuit Judge John Fleming gave Abbate a curfew and community service, despite the national outrage sparked by video of the beating. The city later paid Abbate's victim $850,000. Notorious former police commander Jon Burge, who was accused of torturing more than 100 suspects into false confessions in the 70s and 80s, served less than four years before getting to head home to Florida for house arrest, which expired in February. The city has paid more than $64 million in settlements to Burge torture survivors and in May the City Council approved a $5.5 million reparations fund for his victims. "This happens so much," Sutton said after Servin's acquittal. "You wonder why the community doesn't respect the badge. [It's] because the badge doesn't respect the community."